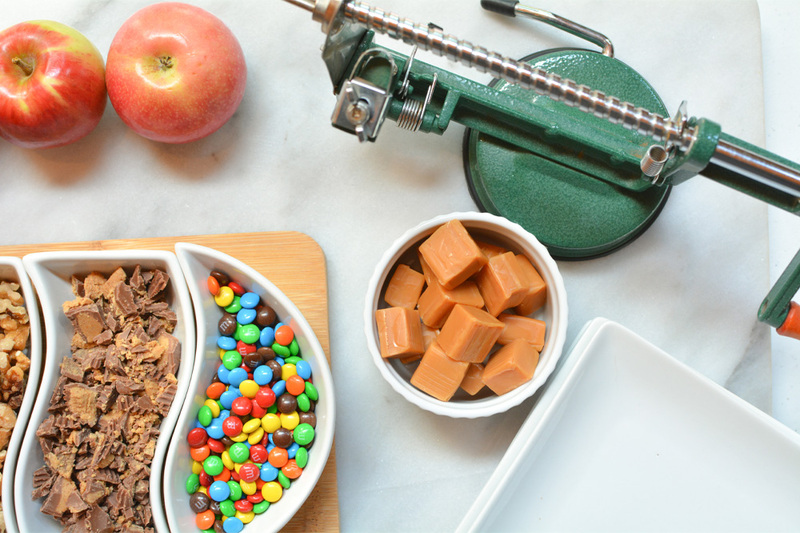 Apple nachos are the perfect fall or summer treat that the whole family will enjoy. 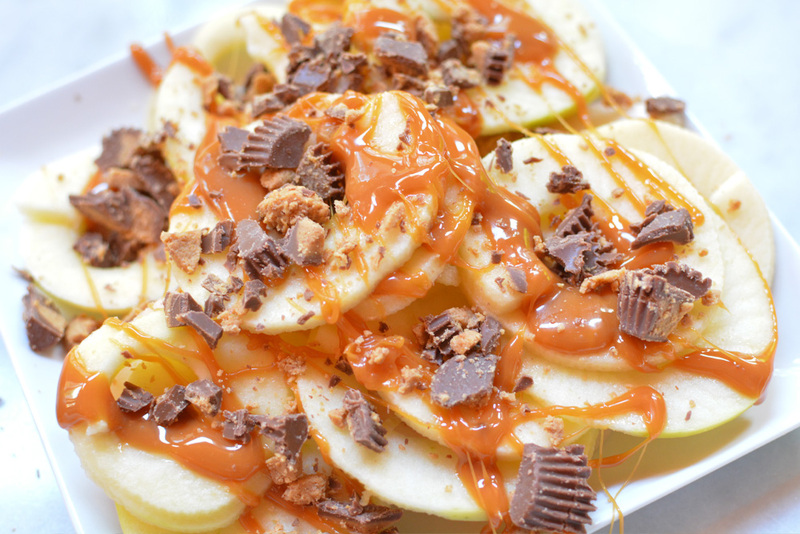 Thinly sliced apples, drizzled with warm caramel and sprinkled with crushed candy. 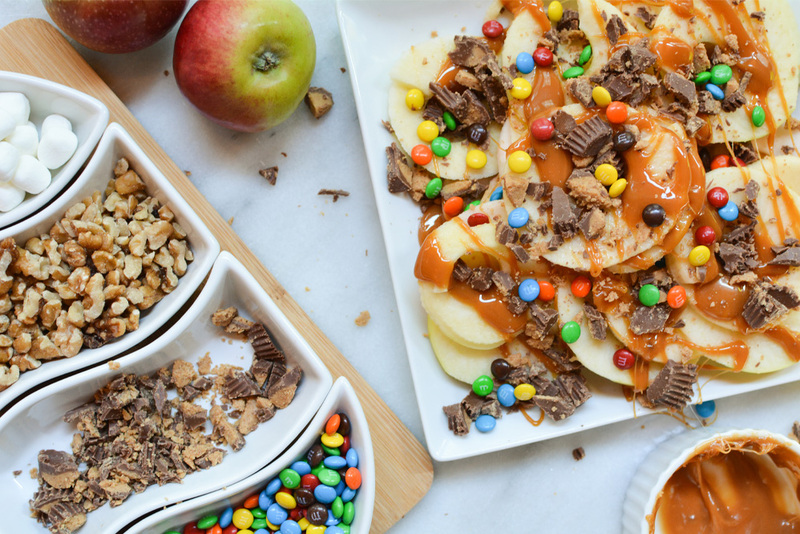 Caramel Apple Nachos make the perfect fall treat. While I can certainly do without the cold weather that October brings, there are a few things that I love about fall: apple picking, fall foliage, Halloween, and caramel apples. Year after year I look forward to the first week of October and heading to the apple orchard with the kids. The mountain views are amazing as it’s almost peak fall foliage. Not only do the kids go wild picking apples, but I’m able to sneak in a few family photos as well. This year I’m looking forward to some of our family favorite apple recipes including apple crisp, apple pie, and caramel apples. 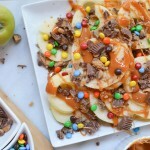 Instead of the caramel apples that I often make, these caramel apple nachos hit the spot. 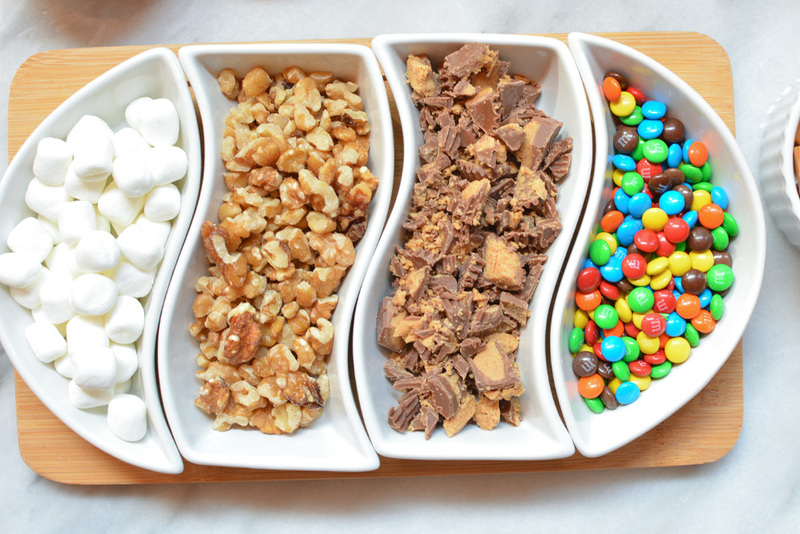 They’re so much easier to bite into, and you can set up a little buffet and the kids can choose their own toppings. 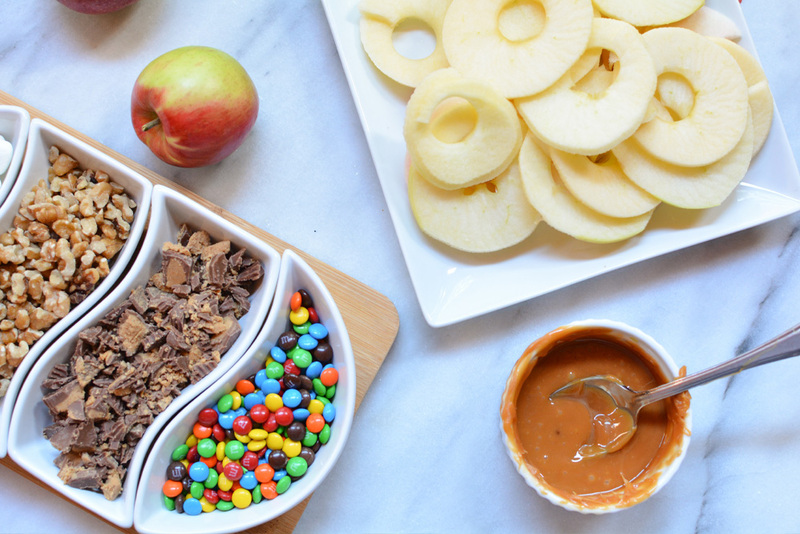 Apple Nachos would also make a fun dessert when served at a birthday party, baby shower, classroom party, or after school snack. 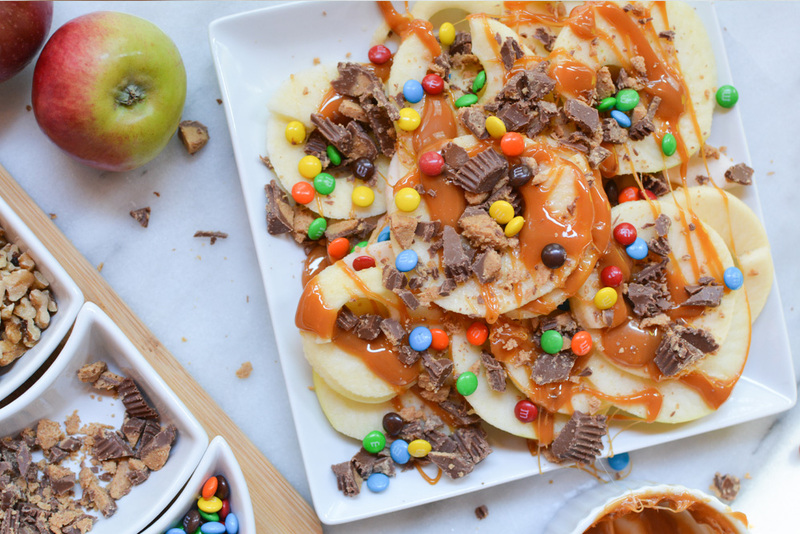 If you plan to throw a Halloween party, want to celebrate fall, or simply want a delicious dessert…try these caramel apple nachos. 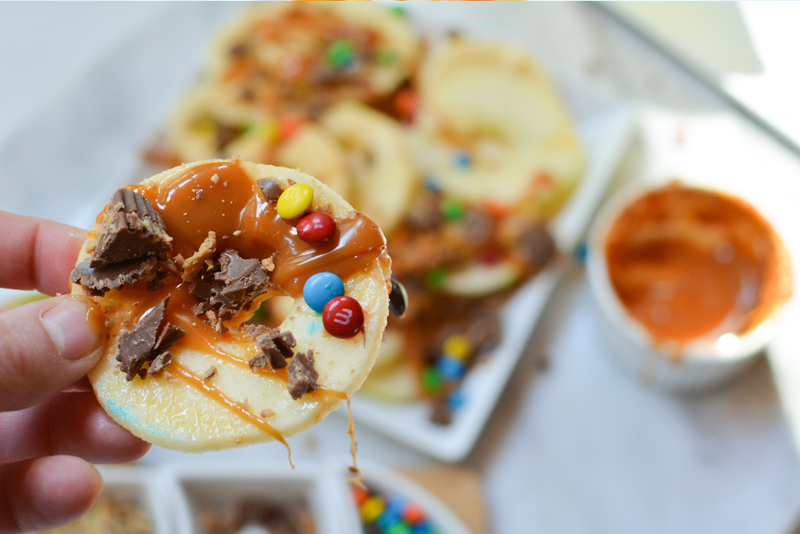 What toppings would you put on these caramel nachos? I’ve never made anything like this, and it would be so much fun to do with kids! I would like to try hemp hearts as a topping! My kids would be crazy about this recipe. Looks like a good one for them. These look super good and would be fun to make. My family would enjoy these. Oh these are such a fun idea! 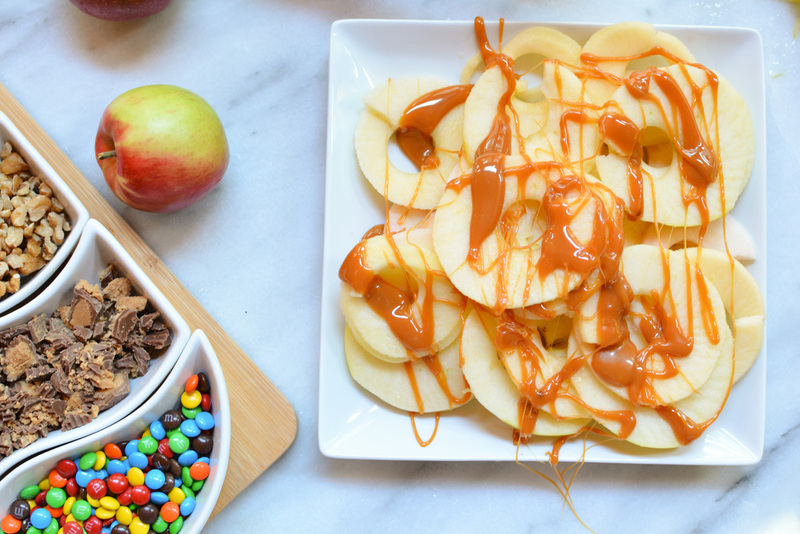 Our little one loves dipping his apples in caramel and would really enjoy this!!! My grandsons would go crazy for this! What a delicious combination of flavors!! This is a treat that I know my whole family would enjoy!